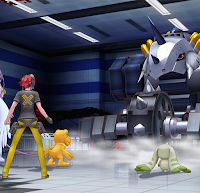 The petition to bring Digimon Cyber Sleuth PS Vita and upcoming portable Digimon games to the west has received over 64,000 signatures and Namco has addressed that they are shocked by the appreciation. Over 64k!!! WOW! Thanks for your support to the Digimon franchise. You can still sign the petition BY CLICKING HERE. What do you think of Digimon PS Vita? Let us know in the comments below!